Happy Tuesday! I spent my Monday tackling my to-do list (which was way too long due to my really bad habit of procrastination). I also have this tendency to read an e-mail (or text) and feel certain that I replied to it but I never actually did. Oops. I'm going to work on that and get myself organized with a set time each day to devotes to replying to e-mails. Hopefully that will help! 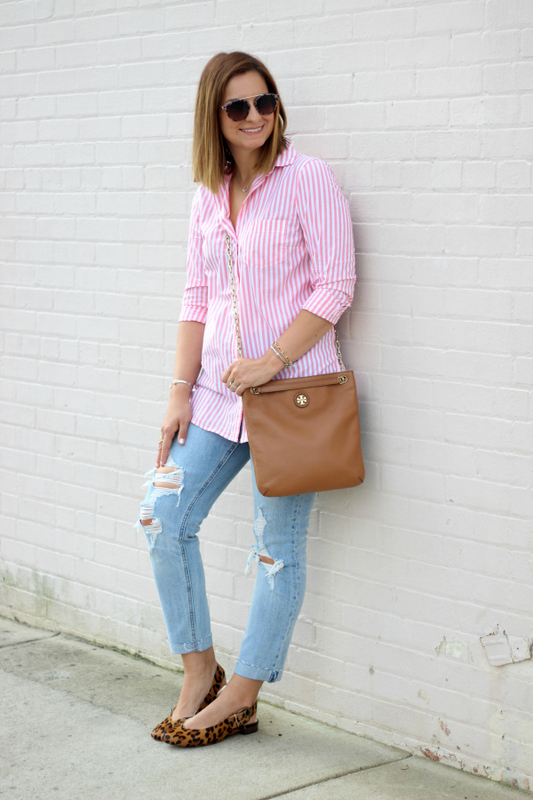 Today, I'm styling this pink striped shirt and distressed denim that I recently purchased from Old Navy (one of my favorite places to shop for affordable basics). Last Friday, I did a try on and fit review over on my Instagram stories. These two pieces definitely got the most questions so I wanted to style them here on the blog to show how I would wear them together. I wouldn't describe my style as really preppy or edgy but I absolutely love to mix the two styles together. 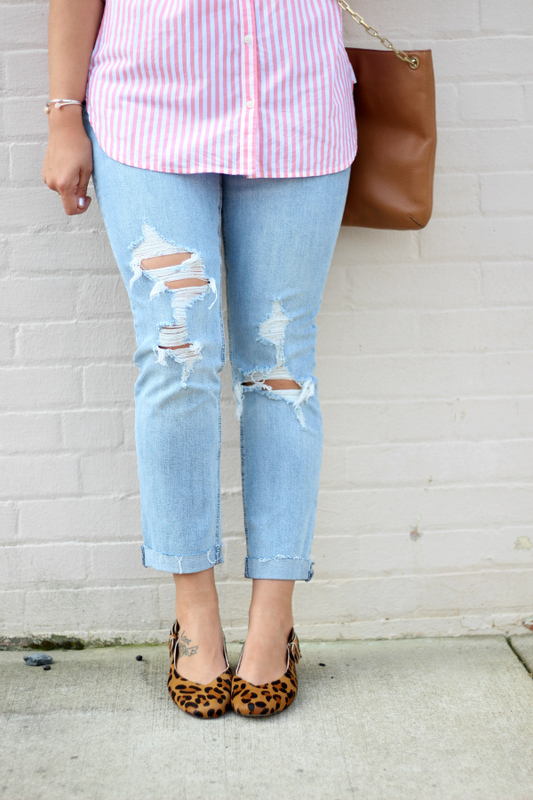 I loved how this classic striped shirt paired with the edgier distressed denim. Unexpected combos are always my favorite! The shirt runs true to size (I'm wearing a small) and the jeans are also true to size (I'm wearing a size four). If you have a larger bust, I would definitely recommend sizing up in the shirt for a more comfortable fit. Also, the jeans have very little stretch to them. I can wear a size 2 in the Rock Star jeans from Old Navy because they are so stretchy but I needed my normal size in this pair. 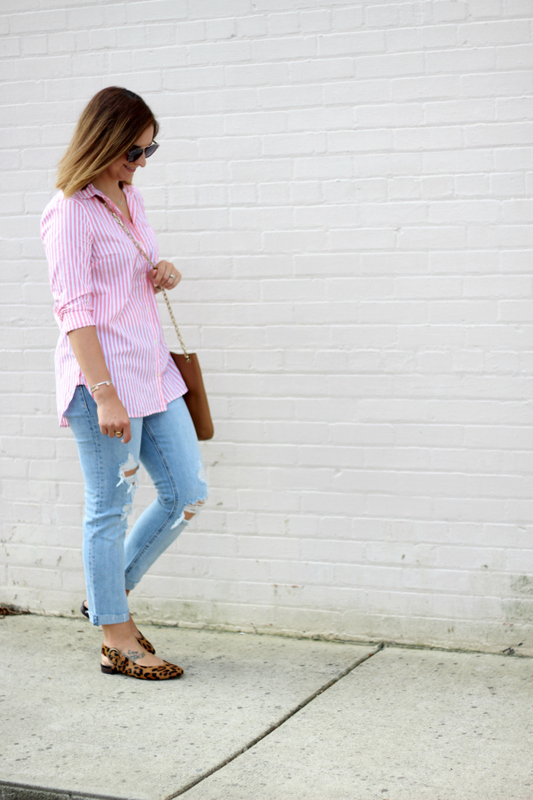 The jeans have a great mid-rise and I love the slightly cropped length. 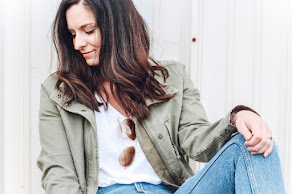 I also plan to wear these jeans with ankle boots this fall! They are definitely going to be my new favorite pair! Totally hear you about reading a text and thinking that I replied. I am the worst at that haha! Love the top, looks very comfy and feminine. I love the mix of preppy and edgy! Such a cute top! Love mixing different style! & those SHOES! 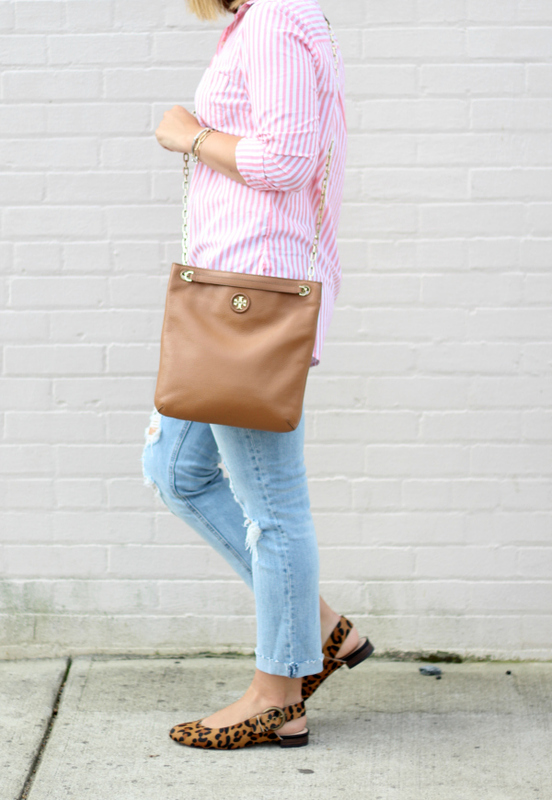 I like the combo of the stripes & leo print! Adds some interest to a look! I'm really loving this look! Especially the top! Really love those jeans, so cute! Your TB bag is adorable as well! Cute combo, I adore those flats! Love the top! 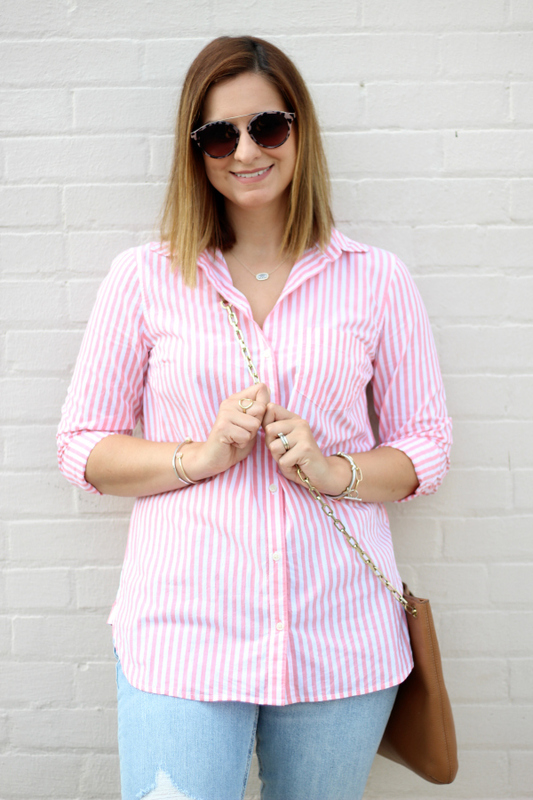 I'm a huge fan of stripes and pink! Those flats are too cute! And go perfectly with that bag. You look great in that pink and white shirt! 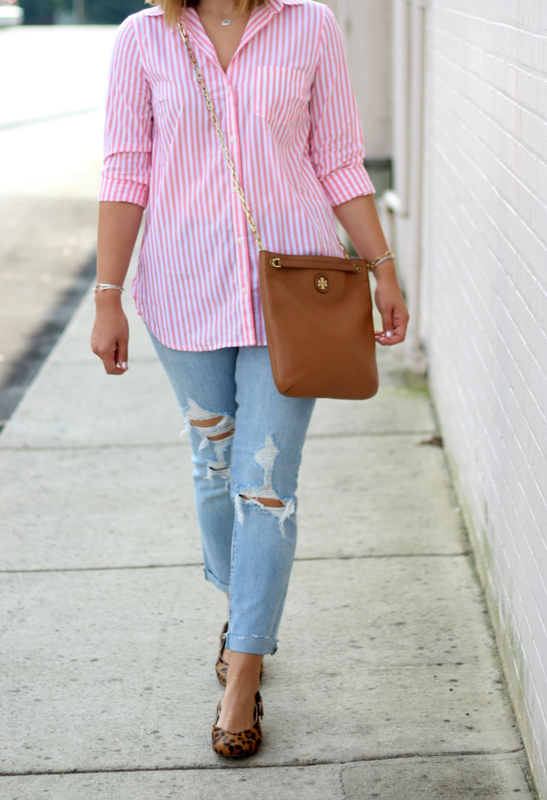 cute casual look, love the pink blouse! Love your shirt and those leopard flats are gorgeous! Old Navy is the best.